Between Cashin Bay, which forms the estuary of the little River Geale, and Kinconly Point, are situated the CAVES OF BALLYBUNNIAN; but as these are noticed elsewhere, I shall not enter upon any lengthened description of them, only strongly recommending all tourists in the western parts of Ireland not to neglect visiting those singular natural labyrinths, an examination of which will amply repay the trouble of exploring them. 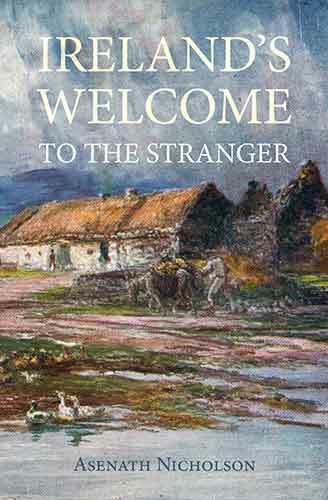 The neat little VILLAGE OF BALLYBUNNIAN, which is only a short distance from these celebrated caves, affords good accommodation for travellers:—in the summer months it is much frequented by bathers from Limerick and other inland places. We have now reached the northern limits of the county of Kerry, which can boast of some of the wildest, most romantic, and diversified scenery to be met with in any part of Ireland. That portion of Kerry which lies in the neighbourhood of the Shannon is less elevated than the southern parts. The central district is an upland country, gradually rising towards the confines of Limerick and Cork, The valleys in this tract consist mostly of reclaimable bog, from which several streams and rivulets descend southward to Dingle Bay, and eastward by the Blackwater towards Cork. The southern district is composed of lofty mountain-ranges, of which I have spoken when describing Killarney, Glengariff, and the coast-scenery northward from Kenmare River. The prevailing component of this mountain-chain is clay; slate-quarries of which have been worked with considerable success at Valentia and other places along the coast. Coal, culm, and limestone, also abound throughout this county, and a valuable copper-mine exists at Ross Island, in the Lake of Killarney. Hard and beautiful crystals, known to lapidaries as Kerry stones and Irish diamonds, are found in the limestone caverns along the coast. 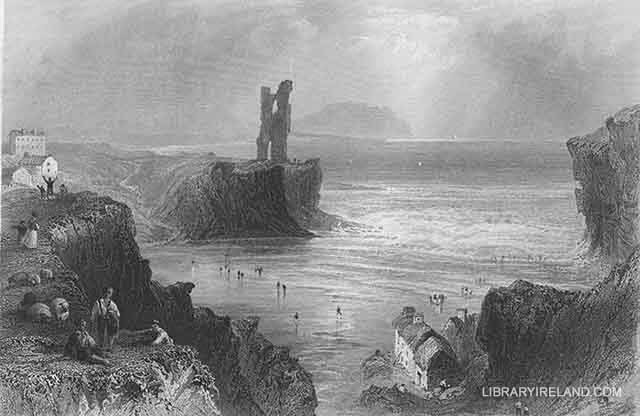 Amethysts and pearls have also been discovered in some of the lakes and rivers:—in short, the county of Kerry may be said to possess all the ingredients for creating wealth; yet, strange to say, the progress of improvement has been hitherto slower here than in any other part of the island. Latterly, however, some attempts have been made to give a stimulus to industry, by opening roads through wild and remote districts—which, with the encouragement afforded by government to the fisheries on the coast, will, it is hoped, tend materially to ameliorate the present wretched condition of the people. Sailing across the broad estuary of the Shannon, a stream which might be made a source of infinite wealth to Ireland, we reach Loop Head in the county of Clare, where there is a lighthouse, marked by a brilliant fixed light from fifteen lamps. The western coast of Clare possesses but one bay of magnitude, and that a mark of evil omen. 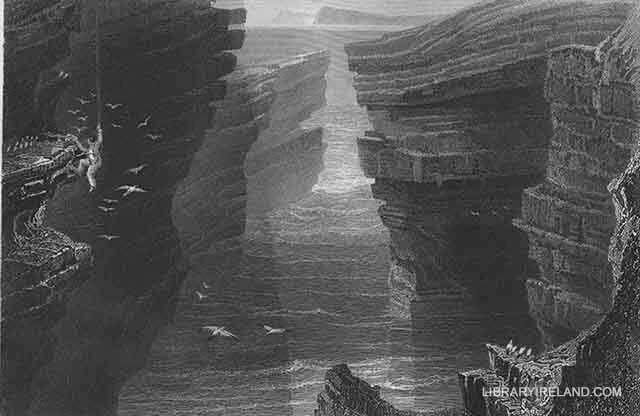 "The space between Loop Head and the Arran Islands is usually denominated Malbay; and justly so, for if a vessel happens to be embayed therein, the only places where there is the least chance of saving the ship are on the north sides of Dunbeg and Liscannor:" a melancholy anticipation for a homeward bound West Indiaman, when nearing this part of the coast with an in-blowing gale. Besides the deep-sea fishing along the coast, the shores afford a large supply, particularly of shell-fish. The lobsters in many places are of large size and excellent flavour.